t*rexes and tiaras: Last minute treats..
Are you all ready and set for Christmas? I'd planned to meet up with a friend who is a bit obsessed with After Eight chocolates, so when I saw this recipe for After Eight Brownies on Nelly's Cupcakes, I had to give it a go and take her a box to go with her presents. 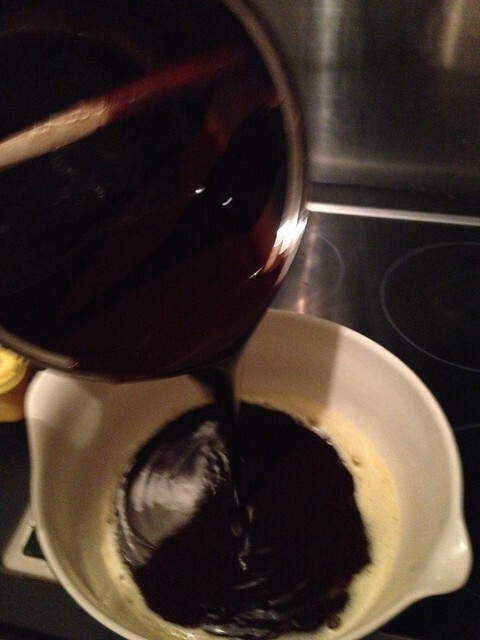 I melted 400g of dark chocolate with 400g butter over a low heat, and whisked up 6 eggs with 500g sugar whilst it melted. 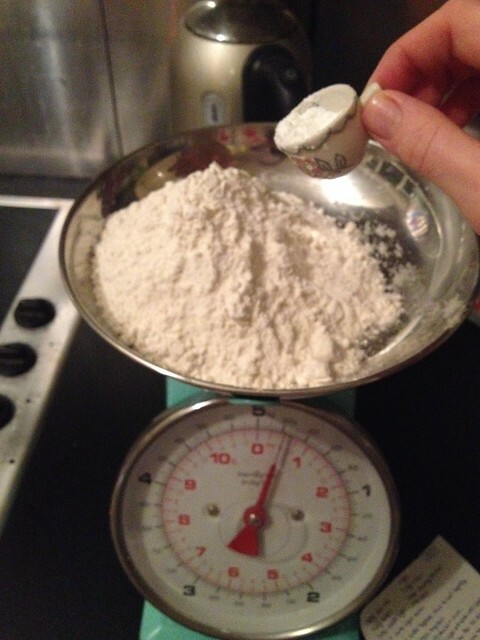 I also weighed out 230g flour, 2tsp baking powder and 1tsp salt, to be added last. 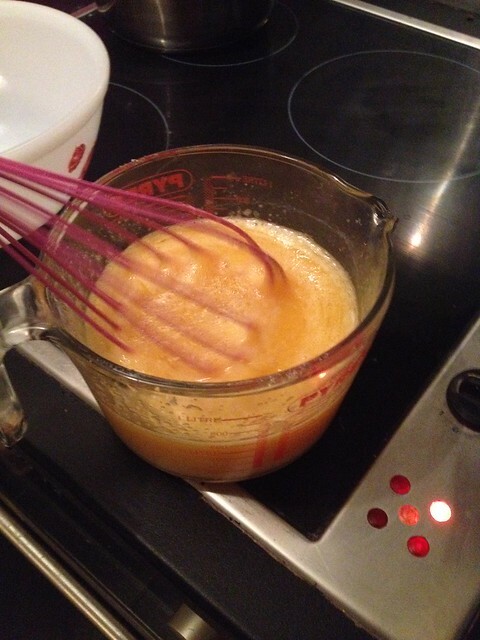 I mixed the sugar and eggs into the pan, and then added the pan of mix to the flour mixture and stirred it in. 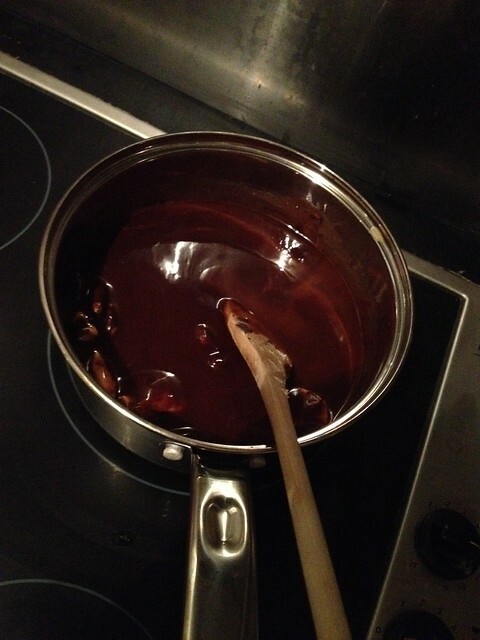 I poured half of the mix into a foil-lined tray, laid a packet of After Eight mints over the top and then covered them with the rest of the mixture. 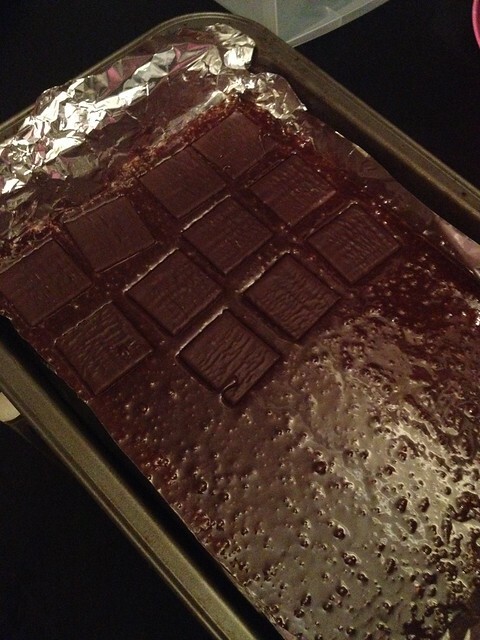 I cooked the brownies for about 25mins at 180C and they came out a little crispy on the bottom and still chewy, just-about-set in the middle. Let me know if you give these a go. I've already had word from my friend that she loved them, which is nice to hear, since I thought of her as soon as I saw the recipe. My Christmas Eve has been full of carol singing, visiting friends and delivering presents. I am still feeling so ill, I really wish this was all over and I could just go and curl up in a dark room where the pains in my head and my stomach wouldn't be so bad. I'm writing this sitting under the blankie on the bed with a heavy-purring Rene cat, having really hit a brick wall. Totally zonked, so I get where you are coming from! 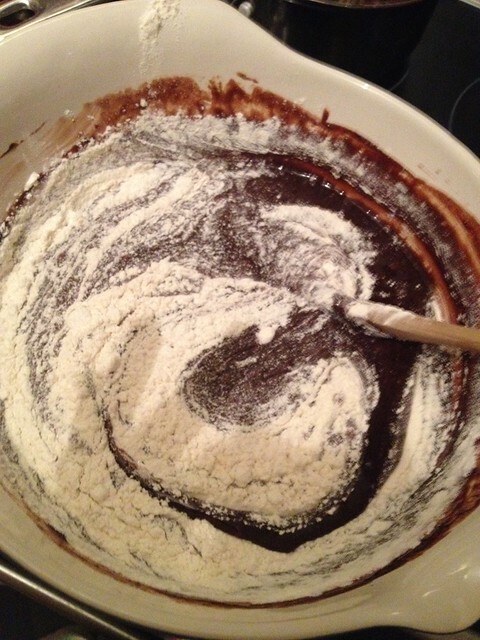 Those brownies look amazing; think I was cooking to feed the 5000 yesterday. Just the stuffing, which I'll probably make while the turkey's cooking tomorrow, and the brandy butter to do, (butter softening off near a radiator). Hope you feel a lot better soon and have the opportunity to be pampered for a day or 2.